Laugh Out London comedy club returns to the Camden Head in Camden after a summer break with a very special Alternative Pick of the Fringe show. 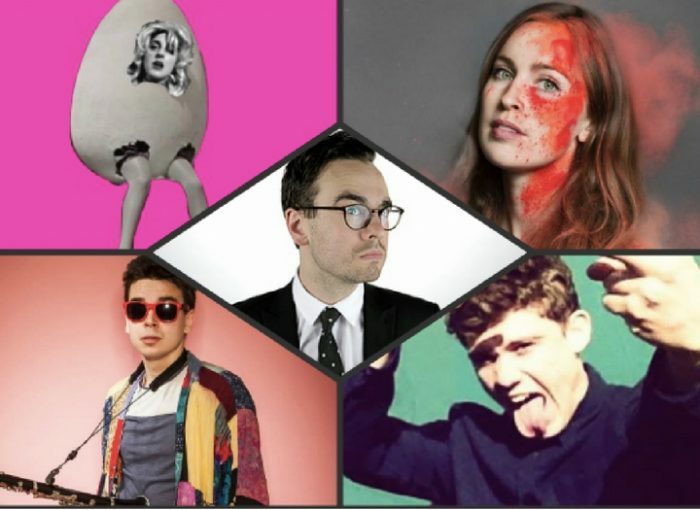 We’ve chosen four of the most interesting and experimental acts with shows at the Edinburgh Festival Fringe this year and brought them together in one awesome bill of weird and wonderful comedy. Long time favourite of ours and musical genius Laurence Owen has been packing them in at the Voodoo Rooms through the fringe with his brilliant ear for musical parody. Always raises the roof. Multi-talented comedian packed out her show in Edinburgh everyday which was fast paced frenzy of characters, impressions and silliness. By far and away one of our favorite shows of the fringe, consistently silly and stupid thought out, Joz’s show was beautifully crafted with excellent set pieces. He’s a delight. One half of critically acclaimed sketch duo bucket whose excellent take-off of an self obsessed actor made for one of the the most immersive shows of the Fringe. Lucy was arguably the busiest person at the fringe this year. Having starred in Adam Larter’s Return on Investment and featured in Beth Vyse’s Hands to the Pump, Lucy also packed 30 people into a tiny room to spend half an hour with them dressed as an egg. It was a brilliantly playful half hour which marked Lucy out as something rather special.